If an employee’s email has been entered, it is defaulted to not have any notifications set up and on the Employee List you will see it preceded by “NONE” and highlighted yellow. Normally employees sign in and add email and text message addresses themselves and check off which events trigger a notification to each address. This is especially true for text messages as the recipient may be charged by their cell phone carrier per text message received. 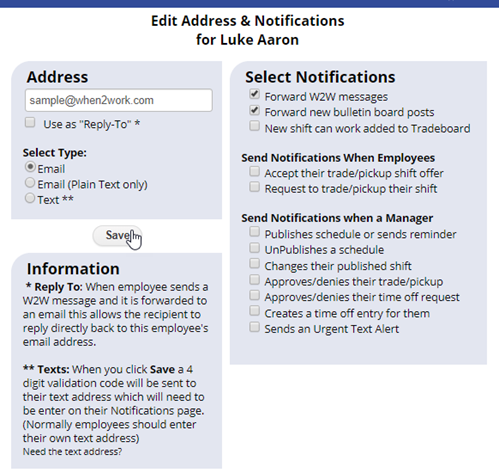 You can send sign in instructions to all employees so that they can sign in and set these notifications for themselves. 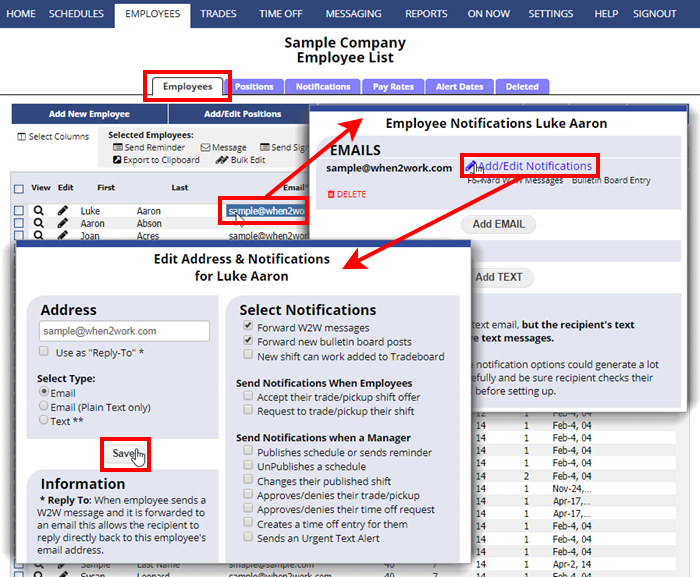 Managers (with permission to edit employees) can also edit the employee email notifications from the Employee Notifications Grid page or the Employee List window.